Even though electric cars have made a big boom on the market, still one consumer fear remains - running out of battery while you’re driving. This has sparked discussion about constructing highways which can charge your electric vehicle as you drive. Is it feasible? Grocery shopping just got a whole lot better. Open up your app, fill up your cart, and walk out of there without waiting in line. 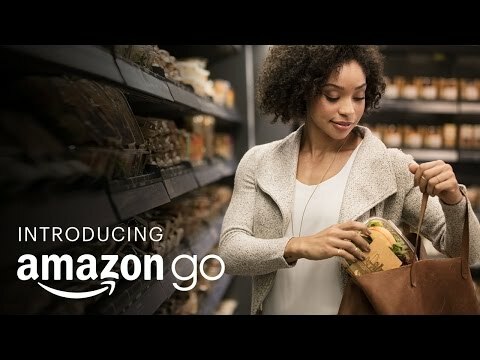 Amazon’s technology can keep track of any items you decide to take off or put back on the shelf. Talk about shopping made easy. 3D printing is perhaps the hottest technological phenomenon of current times. 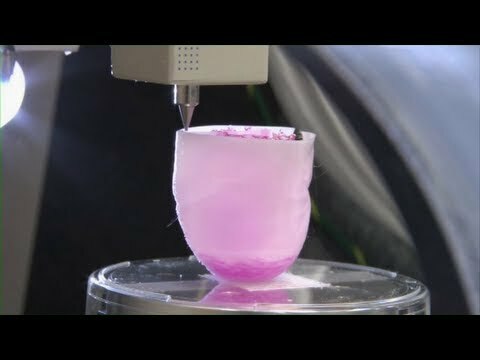 This reporter explores both the benefits and dangers of 3D printing - from making organs and body parts to making assault rifles and gun parts. Learn how 3D printing works and how it impacts our world. With Google Glasses making headlines in the tech-world the past few years, this video takes a glimpse a few steps forward into our future. Will we be safe from our own technology? As technology gets better, so does translation. 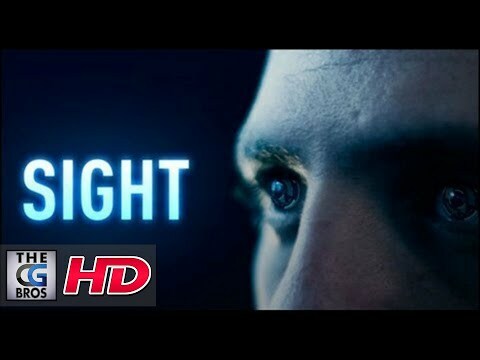 This short video tells the story of man who had trouble communicating with a French girl, inspiring him to develop a smart earpiece which can translate languages in real-time. A great topic for language lessons and generates great philosophical conversation. There can be many hidden restaurant gems in NYC, and the Enoteca Maria in Staten Island is one of them. Get to know the guy behind this awesome concept who only employs grandmothers from all over the world to cook for the customers. I mean, who doesn’t love grandma’s cooking? 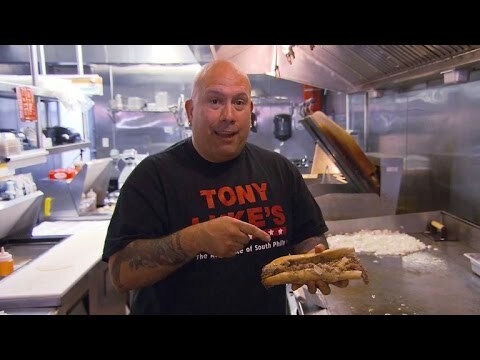 Tony Luke, a sandwich connoisseur, shows you how to make the famous Philadelphia Cheesesteak, including his secret formula and methodology. 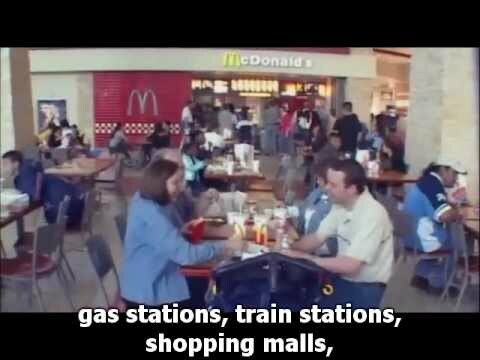 Supersize Me is an educational documentary analyzing fast-food culture in the USA and McDonald’s immense role in this culture. The man in the documentary talks about interesting facts about McDonald's, discusses obesity, and compares the situation to the past. *Suitable for pre-intermediate - advanced students. Suitable for ages 14+. This topic can contain sensitive subjects. Please use at your own discretion and consider if the topic is appropriate for your student(s) or class. 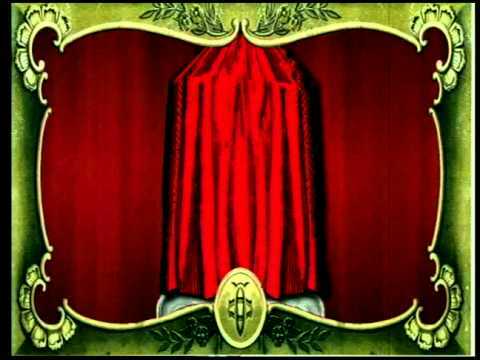 An interesting animated short video about the birth of Coca-Cola back in the last year of the 19th century. This video then goes through the early years of America’s most popular soft drink and how it’s evolved into what it is today. A short but sweet video featuring an inspiring young star, who can climb walls faster than anyone you know. Most people are just shocked watching this 14 year girl climb, and your students will be too. An interesting twist to the sport of skiing. Two professional Swedish skiers who hunt out spots and document their adventures shredding it up in the sand. Aaron Fotheringham is a true legend, known as the godfather of WCMX. A young man with a great positive attitude, and isn’t afraid to go out on his wheelchair and rip it in the local skate park. Ever seen a backflip on your wheelchair? Your students probably haven’t either. A sports reporter goes around and shows what life is all about under the green and gold skies of Green Bay, Wisconsin. Are your students as crazy about their sports team as these cheese-heads? 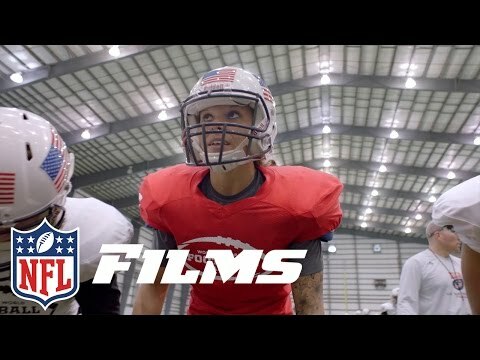 In these ESL lesson plans for adults and teens, students watch a video and do a listening exercise about women who play American football. It includes discussion questions and conversation activities about gender roles, American football, and sports. Students also learn some important vocabulary terms and expressions related to these topics. The grammar exercises feature like / as, a special adjective phrase, and to be used to +ing verb. In the cooperation activity students can make a website, do a role-play, or interview. Who says women can’t play football? Meet the female pioneers expanding the game to their own gender. The female players show you how they play and get a conversation going about differences in male and female social roles. This guy is just a riot. Guaranteed to make your students crack up and just an overall great and funny experience to do in the classroom. 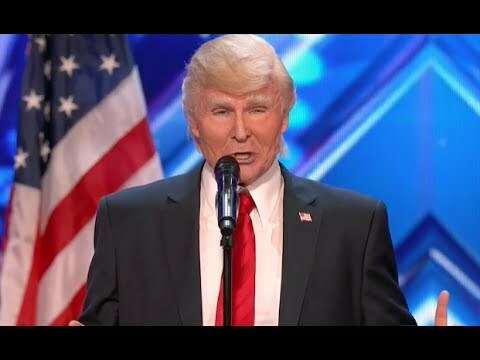 This Trump impersonator gets crazy on stage in front of millions on an unforgettable America's Got Talent performance.